Insurance suites offer functionality across multiple insurance software categories through a variety of modules. Insurance suites represent an all-in-one solution through which agents can manage all aspects of the insurance lifecycle. Organizations use insurance suites to manage all insurance functions, such as policy administration, client relationship management, billing, and insurance claims, within a centralized system that streamlines agency management and reporting. Insurance suites are commonly used by large insurance agencies with diversified service offerings and geographically dispersed operations. Due to their modular design, insurance suites can be customized according to agency needs. Insurance suites can be purchased as an integrated suite or as individual modules. Insurance suites commonly offer a combination of modules from insurance policy administration software, insurance billing software, claims management software, underwriting and rating software, and insurance agency management software. Insurance Suites reviews by real, verified users. Find unbiased ratings on user satisfaction, features, and price based on the most reviews available anywhere. 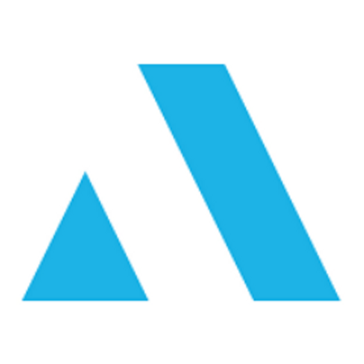 Applied Epic is the industrys most technologically advanced, flexible and secure cloud-based agency management system, providing powerful automation capabilities and a greater level of visibility across an entire book of business. The system offers a single, open application with integrated capabilities to efficiently manage customer relationships, policy and benefits administration, sales automation, and financial accounting processes. Guidewire InsuranceSuite is a provider of core system software to the global Property/Casualty (general) insurance industry. Guidewire InsuranceSuite spans the key functional areas in insurance – underwriting and policy administration, claims management, and billing. BriteCore provides a comprehensive Property and Casualty Insurance processing suite to insurers. BriteCore was built from the ground up using the latest modern technology. Deployed using the Amazon Web Services cloud, our enterprise-level software is continually updated to guarantee maximum security, efficiency, and durability at scale. More than 50 insurance carriers, MGAs, and start-ups rely on BriteCore to increase speed to market, improve competitive position, and support growth. Visit www.britecore.com to find out why these companies are putting BriteCore in production all across the US and Canada. BriteCore is also a proud member of NAMIC and provides software solutions to many of its members. Velocity offers an all-in-one insurance solution specializing in the Property & Casualty market that handles the business needs of MGAs, Program Administrators, Wholesalers, Carriers and Retailers. Key features include policy issuance & administration, claims administration, built-in rating, self-service portals (agent & insureds), billing & premium accounting, document management, reporting and more. 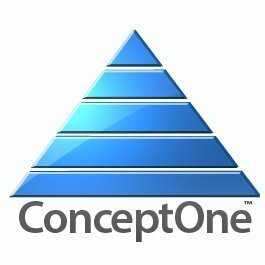 ConceptOne from Epic-Premier equips your insurance enterprise with the tools to start achieving more. Accentures life and annuity software delivers modern solutions that help carriers transform. InsuranceEnterprise uses a consumption-based pricing model calculated on direct Written Premium. They provide their customers with a broad spectrum of solutions that encompasses everything from core processing to data management and analysis. Integrated components that can be delivered individually, or as a suite. We've bundled technology, application, logistics, deployment, data and analytics to give you a complete solution to deliver adaptive UBI programs across multiple devices with a consistent scoring and rating methodology, all backed by full operational support. Built to power the fastest growing insurance businesses globally. A modular browser-based, property and casualty policy administration solution for Policy (quoting, rating, issuance), Billing, Claims and Reinsurance administration. All-In-One web based Insurance Software for forward-looking Insurance Companies and Intermediaries, which follows latest insurance trends. Our Business Suite includes an online Quote/Sales System (B2C/B2B2C), Customer Service Portal, (mobile) Claim Module and a comprehensive Back Office to manage your Customer, Policy, Claims, MGA's & more. All Suite Modules can be requested individually. It's White Label Solution to "Plug & Play" your Business and allows you to start without any upfront costs. Wynsure is a powerful, fully functional, scalable and easily customizable insurance policy administration system. The Adaptik Suite empowers P&C insurers to turn even the most complex products and lines into opportunities for sustainable growth. Available on-premise or in the cloud, our solutions for policy administration, rating, billing, customer management, task management and product design are intuitive, user-friendly and endlessly configurable. Bank insurance and debt protection products are specialty protection products sold through the unique marketing channels typical of a financial institution or other affinity marketer. The Diamond system offers pre-configured access for both agents and policyholders. Duck Creek Billing turns a back-office function into a customer-centric solution. EIS Core Insurance Suite, you can harness the full potential of your insurance business to innovate and compete. FINEOS AdminSuite is a modern core administration solution designed specifically for group, voluntary and individual insurance, as well as public sector accident compensation insurance. GameChangers advanced technology base, meets the requirements of businesses of all sizes and in all US markets. ID3 is a comprehensive policy system, fully integrated with Life Portraits point-of-sale & LifeSuite automated underwriting solutions. Insurance Systems by Insuraxe Solutions is a custom built cloud-based insurance rating, submissions, issuance, premium billing, and brokers management system. The Core Insurance Suite is an internet private cloud solution that gives you everything you need to operate your insurance company. InsuredHQ is a New Zealand-based developer of software solutions for insurers, agents and brokers. The InsuredHQ platform has a customer-facing online quoting system and includes complete back-office functions (policy management, claims, accounts and document production), plus full integration with Xero, the online accounting system. It is also fully and uniquely configurable, allowing complete customisation for each client - without the big price tag. InsuredHQ has been specifically designed to be attractive to the SME market worldwide, emerging markets and the microinsurance market - and anyone else who wants to escape open-ended implementation charges, user licence fees and annual maintenance and support costs. Sound interesting? Please see our website for more information, or email us at contact@insuredhq.com for a demonstration of how InsuredHQ can help you grow your business. Insurance software platform that includes components for policy, rating and underwriting, billing, claims, print, CRM, and more. Multilingual solution for quoting, rating, product comparison, proposal & application generation, distribution. Cover.Nets ISMIS platform is a complete, powerful and flexible solution of its kind in the insurance market. The ISMIS system is designed for MGAs (managing general agents) and other product providers to help them sell and administer their product lines. The Majesco Enterprise Data Model enables insurers to aggregate their policy, billing, claims and distribution management data into a “single source of the truth” that is proven, flexible and robust, allowing them to create the necessary foundation for their data mastery journey. Majescos P&C General Insurance Suite helps P&C insurance carriers increase responsiveness while reducing operating costs through an affordable. Custom built cloud-based Insurance rating, submissions, issuance, Premium Billing and Brokers Management system. Provides policy maintenance, premium accounting, general ledger reporting, premium statistical, and more. OWLS is a web-based fully fledged insurance management solution with features such as reporting, payments, document uploads, and more. Ozone Insuria is a cloud/server based Insurance Brokers ERP used by insurance brokers to manage transactions, reports, financials etc. Full policy, claims, and accounting solution for carriers. Patriot Technology Solutions delivers high-quality, cost-effective, end-to-end insurance software to the property & casualty market. PolicyHandler can produce multiple quotes per application based on different workers compensation plans. Prime Insurance Suite (PRISE) is a fully developed, completely integrated, well configurable, synchronized P&C insurance industry solution. Practice management solution aimed at insurance brokers (life, health and short term) and asset managers. Profit Life&Pension is based on Java EE standards. Profit Property&Casualty processes cover the whole policy life cycle. ProMetrix is a risk analytics solution that enables commercial property insurance agents to accurately price and quote insurance policies.ProMetrix provides new risk insights, analytics, and modeling capability designed with accuracy and flexibility in mind. Sapiens IDIT is a component-based software solution suite, designed for the non-life General Insurance market. A system that permits the service and administration of sales completely personalized through the telephone. A suite of insurance software solutions dedicated to supporting the needs of insurance underwriters, agents and brokers. Comprehensive underwriting support system for insurance and reinsurance companies. SOA end-to-end comprehensive web-based modular system. Rules-based, table-driven architecture is scalable and easy to customize. Hi there! Can I help you find the best Insurance Suites solutions?